Oh, my, god, like did you see that bangin' hair! She looked better than Jem, and totally blitz. I can't wait to ask her what kind of hair spray she uses. Okay, the valley girl talk totally needs to like book. The 80s was a time when fashion was flashy, the slang was silly, and hair was big. Poofy sleeves, and big hair were all you needed to be considered a cool girl. Maybe an attitude would have helped also! We're pros at making folks cool for Halloween around here. 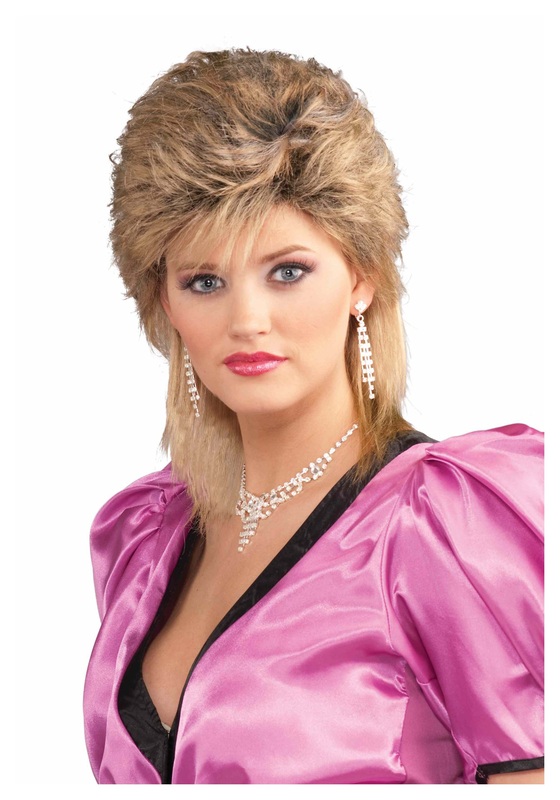 For you 80s look only the best will do and that's The 80's Salon Wig. Get your inner blond to come out and rock out to glam rock. Don't worry no 80s icons were hurt in making this wig, it is 100 percent synthetic care. Pre-styled and ruffled, we teased it to perfection so you will look beautiful.